We’re excited to announce that on September 5th, we’ll be holding a crowdfunder launch at London’s iconic Battersea Power Station to raise money for our new project: Make The House A Home. Imagine you’re a mum in Wandsworth with multiple responsibilities and limited income. Perhaps you’re doing your very best to be a good parent, but you’re young and inexperienced or you didn’t have the best childhood yourself, and your parenting and home-making skills aren’t what you want them to be. Perhaps you’re feeling depressed, but are scared that if you tell anyone, Social Services will take away your children. Perhaps you’re going crazy with cabin fever and just need to get out of the house, but you can’t afford to go anywhere commercial, and there’s nowhere free for you to go. Or perhaps you need to get back into the workforce, but the time you’ve taken to raise your children means employers consider you ‘deskilled’. This is where the Hub comes in. 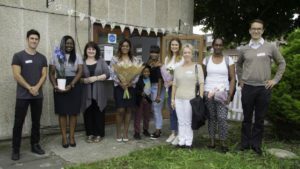 Last year, we were lucky enough to have Griffin Primary School grant us the use of a small building on their estate, and from there, we’ve been running regular, free programs and creating a safe space for the mums of the local community. Things are going great, and we want to expand; to do this, we need to raise funds. – Run more Ready, Steady, Work courses, as well as Mums in Business, a course that helps ‘mumpreneurs’ create a vision for their future and learn skills such as basic accounting and self-promotion so they can become their own bosses. – Run Ladies’ Lunch courses, where mums learn to cook a healthy meal on a budget. – Run Manage Your Home, a course for young mums or mums with large families who want to get some more peace and order in their lives. – Start a gardening club, where members of a highly built-up community can get involved in some urban regeneration and create a vital green space. – Spruce up the building, to make it the warm and welcoming place our ladies deserve. Our crowdfunder will be hosted on Spacehive under the name ‘Make The House A Home’, and will go live on 3rd September. On 5th September we hold the official launch, and would love to see as many people there as possible. Please don’t be shy if you feel you can’t afford a big donation; even a couple of pounds will help. 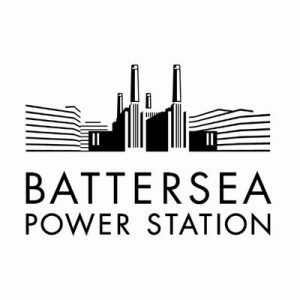 On foot/bicycle: Turn into the Power Station Complex opposite the entrance to Battersea Park by Chelsea Bridge, walk under the railway bridge and turn right for Village Hall. By car: Park in Battersea Park and walk back along the river. The park is open until dusk (8.12 on September 5th). Walk through as for the journey on foot. 137 from Brixton or Sloane Square, or 452 from Sloane Square or Wandsworth Road to Chelsea Bridge entrance. 156 from Wimbledon to Vauxhall, 344 Clapham Junction to Liverpool Street, or 436 Lewisham to Battersea Park to Pump House Lane entrance, then walk through the development to the river and then turn left for the Village Hall. By boat: Battersea Power Station Pier (15 minutes from Embankment, 20 from Blackfriars). For more help planning your journey, you can check out Battersea Power Station’s own visitors’ page here, which includes links to maps and London Transport. All are welcome, so please join us there for this fantastic cause!